Samsung launched the Galaxy S9+ with the same battery as the Galaxy S8+. Some concerns were raised that a 3,500 mAh charge was not going to be that great, even with Qualcomm's promised 30% better power efficiency of the new Snapdragon 845. 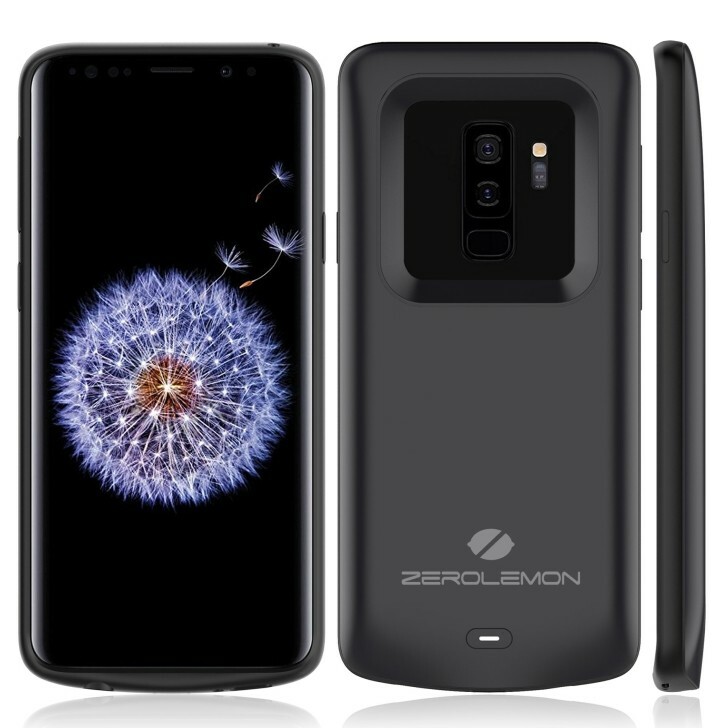 US owners can opt to get far longer power autonomy with latest ZeroLemon case that comes with 5,200 mAh Li-Po battery in it. The new case promises to add 115 hours of standby time, 30 hours of calls and 61 hours of music playback. These numbers naturally depend on a lot of things and the real life performance will vary. However, you can count on at least one full charge from the accessory. 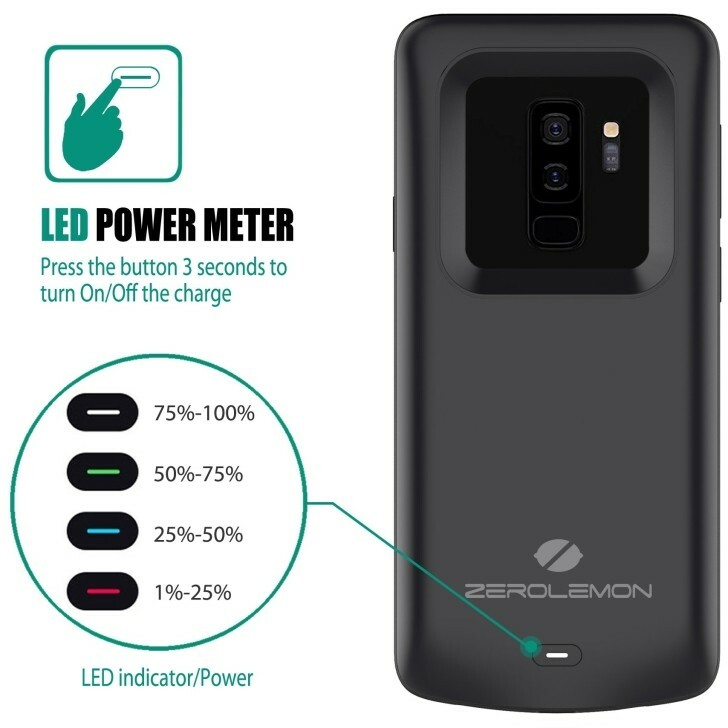 The back panel of the ZeroLemon Battery Case has a power button with 4-colored LED notification light. It will show you different levels of charge and could also power on and off the battery of the Galaxy S9+. While turned off, it acts as a regular case, so you don’t scratch the dual-curved back panel. The price of the accessory sits at $39.99. Shipping is available only to the US, so no Exynos 9810-powered phones will be able to snuggle with the new case for now.